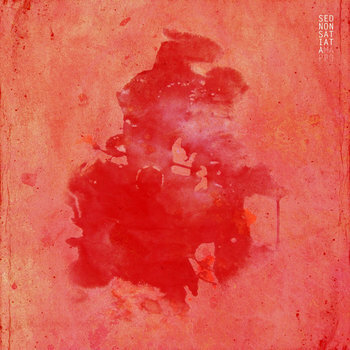 Sed Non Satiata has just released a brand new 8 song LP. If you're familiar with the band then you've come to expect a sound that lands in the neighborhood with their homeland counterparts Amanda Woodward. Mid gain guitars, steady drums and vocals that have a nice range between strained screams to hovering melodic bellows are consistant throughout the record. There's a moodiness to this music that sort of reminds me of Yage's "The Human Head is Too Strong for Itself" 10" that was released in the beginning of the 2000's. The band brings things down a few notches on these songs pretty often, balancing the ultra quiet with some more intense melody to showcase some nice contrast. Delay soaked guitars work up the soundscape at moments like this (see "Sehnsucht" and "San Andrea") and some of these tunes are not too far from the neighborhood of instrumental post punk at times.